Of course it was just a a matter of time and it appears that time has come. The Wall Street Journal is reporting that new fees could very well be tacked on to your purchases you buy with your debit or credit cards. This all goes back to the massive class action lawsuit that still hasn’t been decided in its entirety. Many retailers and merchants are frustrated that they must now risk losing customers by adding a surcharge but who also worry that it could cause significant financial problems for them if they don’t. In fact, several merchant trade groups are convinced that few retailers will start charging new “checkout fees”. But that’s just the tip of the iceberg in this brouhaha. Even as some believe these new fees will be added into many retailers strategies, there are those who argue the deal places entirely too many restrictions on retailers who decide to surcharge and forces them to forfeit their right to sue Visa and MasterCard in the future. And in at least ten states, these merchants have no recourse anyway as it’s against the law to tack on surcharges. For other states, though, the laws allow merchants to charge an extra fee to their customers who pay using their credit cards. People paying with credit cards. What does that mean for credit card consumers? They must remain vigilant in watching out for those new check-out fees. Even if it’s months before you see one, you should know merchants will be able to impose them beginning January 2013. This new option to pass the fees on to the consumers who pay with credit cards was one of the tools merchants gained as part of a deal reached in July intended to end years of litigation against the card networks and banks that issue credit cards. Visa, MasterCard and the banks agreed to pay $6.05 billion to a class of up to eight million merchants while also temporarily reducing other fees which equates to around $1.2 billion. Interestingly enough, the cash equates to less than two months’ worth of the $40 billion or so in annual fees that retailers pay banks each year. This, from attorney Jeff Shinder of Constantine Cannon, the New York firm that negotiated a $3 billion antitrust settlement with Visa and MasterCard in 2004. If the settlement garners final approval, merchants will then be forced to post signs both on their store entrances as well as their cash registers that warn consumers they will be tacking on a surcharge. Those surcharges can go as high as 4% or as low as 1%. Brian Dodge, senior vice president of communications and state affairs for the Retail Industry Leaders Association, wrote in an email. The main thing we really want people to know is if they encounter one of these, they can vote with their feet and walk away. They do have the choice to patronize merchants who do not charge this. In the efforts of disclosure, we feel an obligation to inform our readers that Consumer Action worked with Electronic Payments Coalition, which represents card companies like Visa and MasterCard and large banks on payments issues. If that name sounds familiar, it’s because EPC has done battle with different merchant groups in the past. It opposed federal laws that merchants fought for that included modifying the fee structures associated with what they would pay in fees. This has gone back for the past couple of years. It’s been a very heated, drawn out and overwhelming lawsuit and it still may not be over. Meanwhile, Target Corp. has also been a formidable and outspoken business. 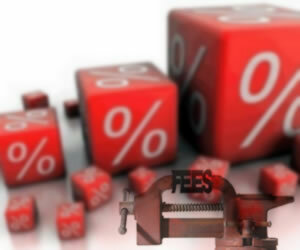 During the summer, it reiterated on numerous times that it has no intention of passing on those fees to its customers. Rite Aid hasn’t released a detailed presser; however, it too says it has no plans to hit customers with fees. As mentioned, the lines have long since been drawn between retailers, credit card companies and banks. Some of the country’s biggest financial institutions, including Bank of America, insist these credit card transaction fees can help them offset losses they’ve incurred since the new financial laws were put into place. Visa is changing back-end systems to allow surcharges to be included in transaction records carried over its processing network, developing signs that merchants who decide to surcharge can download and post in their stores and launching a website where merchants must register if they plan to surcharge. Note, too, that they also are prohibited from surcharging Visa and MasterCard credit cards more than those of other card brands, specifically the ones that make up the biggest financial names in the nation. American Express Co. and Discover Financial Services which are not part of litigation, have rules that allow merchants to surcharge so long as they do it equally to other card brands, according to the companies. You may recall in November that a District Court preliminarily approved a deal that would have gone into effect in short order. There’s been no final approval, so it could be as late as February before these changes take place – if they indeed do.